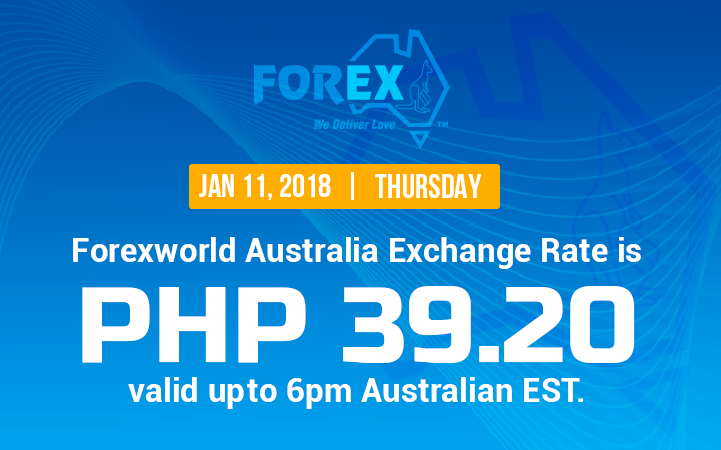 Forexworld Australia Exchange Rate January 11, 2018 (Thursday) is PHP 39.20 valid up to 6pm Australian EST. $1 is to PHP39.20 Send money to the Philippines today, via online money transfer to the Philippines from Australia. For further info, Forex World Bank details, other promos and updates please Contact us at 0287770000.